Tetris — possibly the most popular casual computer game of all time — celebrates its 25th anniversary on June 6th. Its creator, Alexey Pajitnov, looked back at the phenomenon he created at this week’s E3 Expo in Los Angeles. 25 years after its first release, Tetris is attracting a new generation of gamers on the iPhone and iPod touch. Practically everyone has heard of it and anyone can play it, even those with little or no gaming experience. The concept and interface are so simple that gameplay is intuitive. Perhaps it is the very simplicity of the game that makes it so addictive. In Tetris, you rotate falling geometric shapes on a rectangular playfield; completing horizontal rows of blocks makes them disappear and gives you points. It’s a format that has been relentlessly duplicated and evolved over the years. In the 1980s, Pajitnov was a mathematician specializing in AI research at a Russian university. As a hobby, he relaxed by creating games. He said that couldn’t have imagined the international phenomenon it would become when he designed Tetris in 1984. Tetris would eventually go on to be offered on just about every major and many minor gaming platform. It’s made repeated appearances on the Mac, iPhone and iPod platforms, and the Tetris Company has more plans for the future. 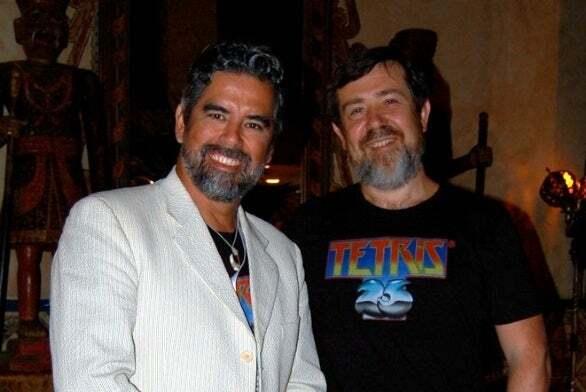 Tetris creator Alexey Pajitnov, right, and his business partner and Tetris Co. managing director, Henk Rogers. By 1996, Pajitnov and Rogers entered into a partnership to manage and license the game — The Tetris Company. They now own the full rights to the game, and will vigorously defend it against interlopers who are engaged in outright Tetris-related fraud or plagiarism. 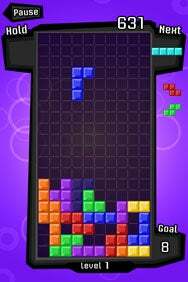 If an imitator is making money that an official Tetris-licensed product should be making, or if the imitator’s product comprises the brand, those are criteria for The Tetris Company to drop the hammer. Looking forward, Rogers maintains that “Tetris is a casual game and we want it to stay that way.” With so much focus right now on expanding the social characteristics of casual games, The Tetris Company is investing more effort into incorporating online and multiplayer twists into the Tetris brand. To that end, competitive online tetris and online gamematching are both in the game’s future. So is The Tetris Cup, where contestants will compete to become the best Tetris player in the world. As one might expect, Tetris has a huge fan community. Devotees create fansites, keep in touch through the Tetris Facebook page, and continue to mail Pajitnov adoring letters — though at a diminished rate, he said, as people don’t seem to write paper mail as much. True to form, Pajitnov and Rogers won’t be having a big party to celebrate Tetris’ silver anniversary. They’ll be casually celebrating together over dinner and a glass of champagne.